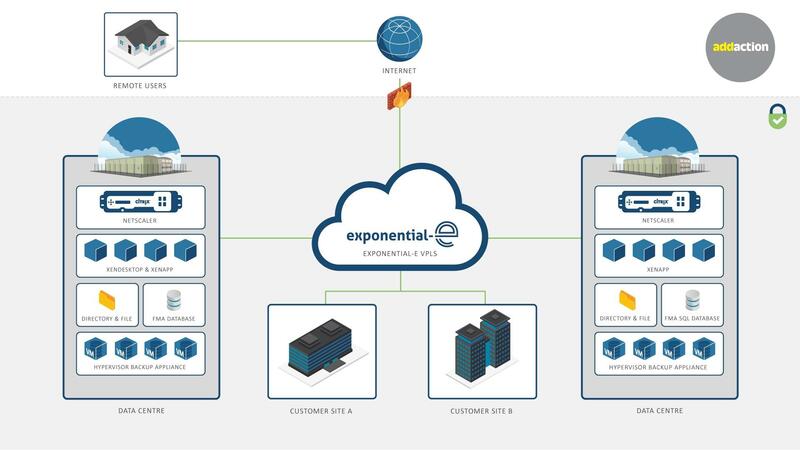 Citrix Service Provider Partner for VDI and more - Exponential-e Ltd. Using Citrix’s end-user computing portfolio, you can transform your workspace, creating a better way for your employees to work together. 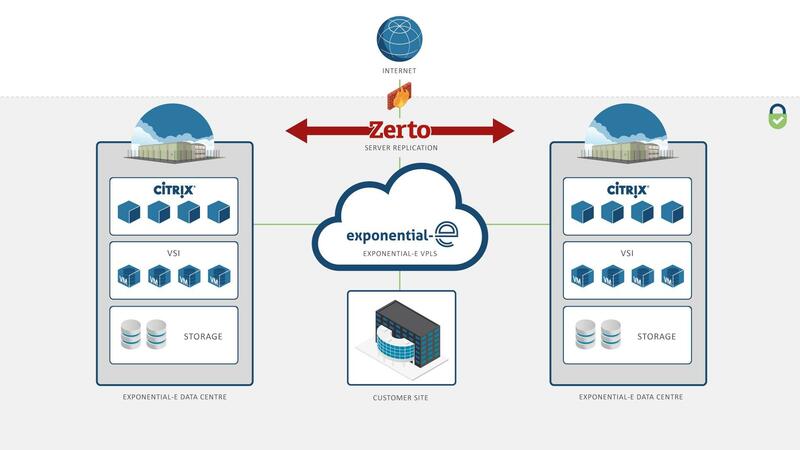 And when combined with Exponential-e’s Network, hosting and support services, Citrix can take on some of the key challenges faced by businesses today around security, mobility and IT support. 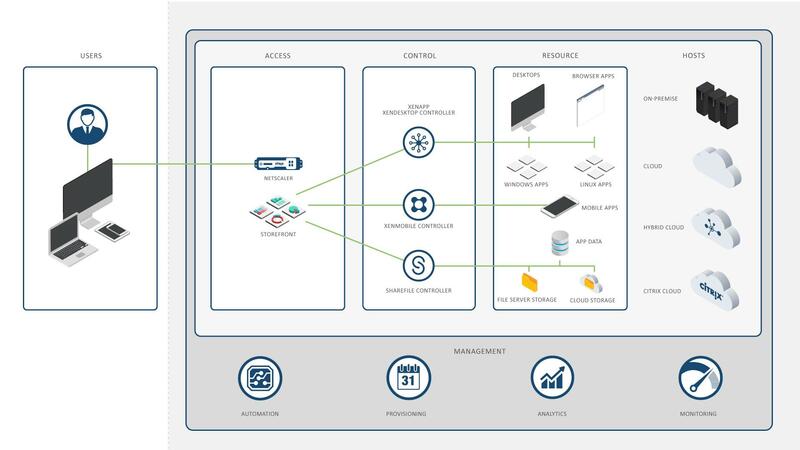 Citrix is a comprehensive end-user computing platform, offering user and application services that enhance control, security, and workforce mobility. 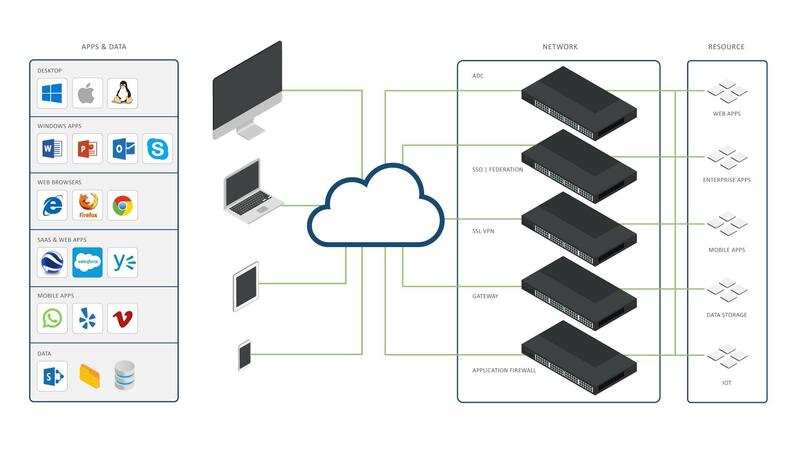 It supports a diverse array of endpoints and is easy to scale through modular growth and the bolting-on services. This means the Citrix portfolio can be customised to meet your business’s particular objectives. Give your employees the freedom to work from anywhere with secure, remote access to a desktop OS in a virtual environment. 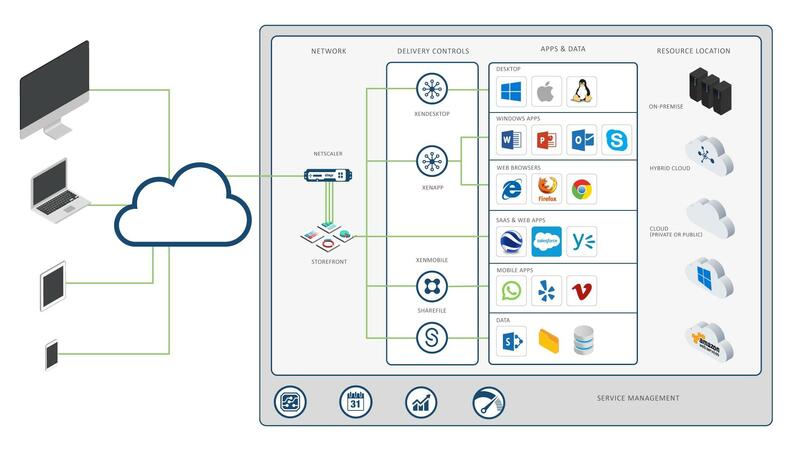 Citrix’s enterprise mobility management solution allows you to manage all your devices, including desktops, laptops, smartphones, tablets and IoT through a single platform. Whether you’re in the office or on the go, ShareFile allows you to access, securely send, share, and get feedback, approvals and even e-signatures on any file - fast. Collaborate with files – of whatever size - in real time and cut out the inbox-clogging attachments. 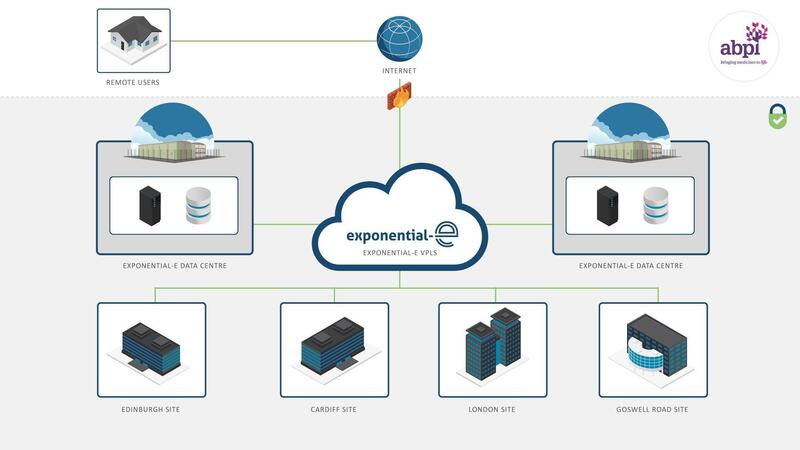 Intellectual property and Data Sovereignty integrity is maintained by controlling what data can be extracted from corporate control, while ensuring data resides within our UK-only Data Centre locations. Combined with our comprehensive security accreditations, you can be assured that data integrity will be maintained without inhibiting your ability to achieve business objectives. 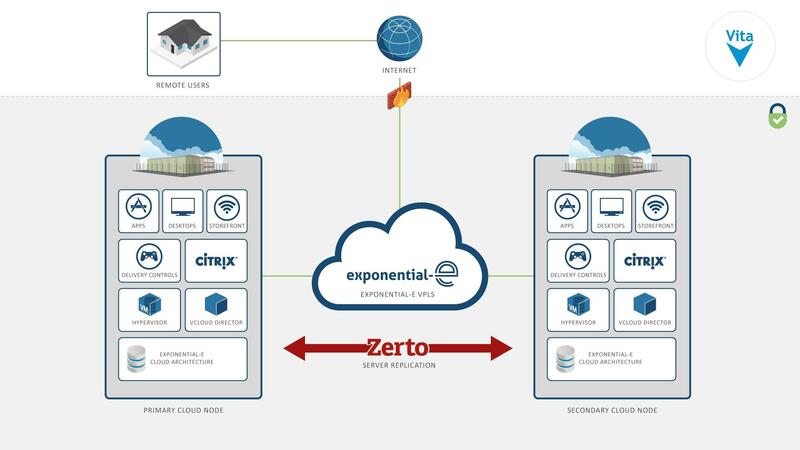 By integrating a managed Citrix solution with Exponential-e, end-user experience to office locations is delivered over low latency VPLS Network services to ensure internal access never leaves the corporate Network, with guaranteed service bandwidth. Once delivered, we will support the environment with our London based Service Desk, providing 24 / 7 x 365 support, aligned to hours of business and availability requirements. This will enable your customer IT personnel to focus their energies on organisation-specific projects and realise their full value to your business. Securing your data and maintaining compliance with data protection is complex and costly. An emerging tech-native workforce now expects to be mobile with a “work from anywhere (and from any device)” approach. IT is challenged with assimilating corporate policy, data sovereignty, and protection of intellectual property with the need to enable working from a diverse array of locations.